Protection of the skin against UVA and UVB rays, due to UV filters. Direct and indirect protection of the genetic material of the skins stem cells, due to the Stem Cell Repair Complex for protection against skin ageing. Increased natural UV protection due to the Tan Accelerator and it gives the skin an evenly tanned skin. 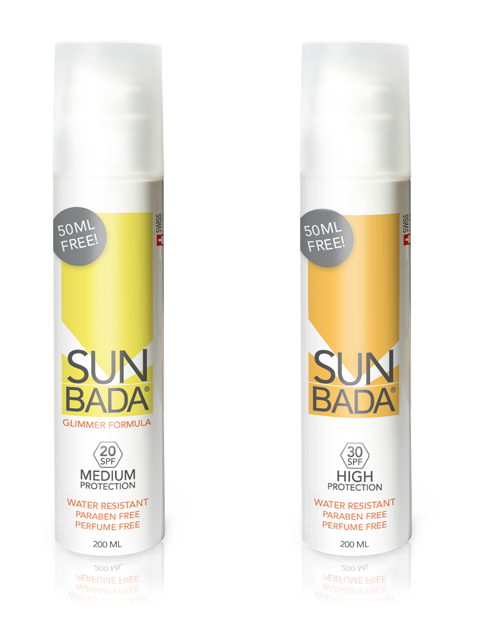 Sunbada has three sunscreens consisting of a SPF 20, 30 and 50 and one aftersun. All the ingredients in Sunbada have a function. 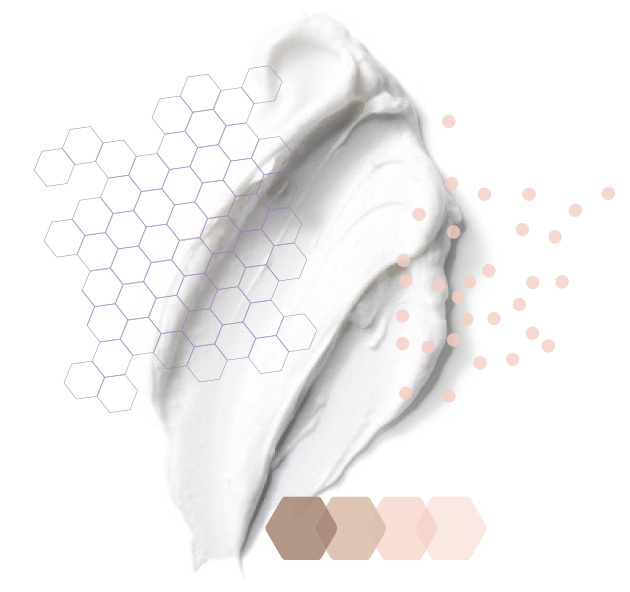 For example, the vitamine E (tocopheryl acetate) prevents skin ageing by protecting the DNA in skin cells from harmful substances. The Sunbada SPF 20 Glimmer Formula has a medium high protection factor. The Glimmer formula contains mica, these are natural minerals to make the skin shine. It also contains sunflower seed extract, aloe vera and shea butter for a moisturizing effect. 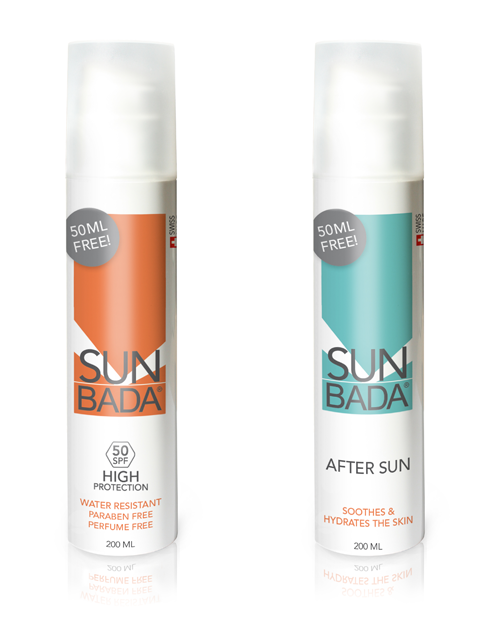 The Sunbada SPF 30 has a high protection factor. It contains sunflower seed extract and shea butter for a moisturizing effect and Edelweiss extract for the protection of the skin. Sunbada SPF 50 has a high protection factor. It contains sunflower seed extract for a moisturizing effect. The After Sun contains hydrating and nurturing ingredients to sooth and cool down the skin, such as bisabolol, panthenol and allantoïne. The maximum sun protection depends on the skin type and the sun protection factor (SPF). Look closely at the schedule to determine how long you can stay in the sun. When an insufficient amount of sunscreen is applied, the claimed SPF protection is not applicable and the time you can safely spend in the sun is reduced. Apply a new layer after strong respiration, after swimming (longer than 30 minutes) and after drying off the skin. Avoid the sun between 11:00 am and 3:00 pm. Avoid the sun if you experience a rash or itchy skin or when the skin burns easily. Consult a physician if necessary. Allow your skin some time to build up a natural protection. This can be done by carefully letting the skin get used to the sun. Protect your skin by wearing protective clothing such as a sun hat or cap and sunglasses with UV protective lenses. Prevent babies and small children from direct exposure to the sun. Use sunscreens with a high SPF and make sure they wear protective clothing. Take into account the strength of the sun: the sun power. The higher the power of the sun the bigger the chance of sunburn. The power of the sun can be seen on the homepage.